With a black stainless steel finish, this 4 piece LG kitchen appliance package from RC Willey is sure to make your kitchen remodel, build or upgrade easier than ever. This package comes with a french door refrigerator, built-in dishwasher, over-the-range microwave oven and slide-in electric range. Get it all at once! This black stainless steel slide-in electric range from RC Willey comes in a stylish black stainless steel finish that features LG's PrintProof fingerprint and smudge resistant finish easily wipes clean with a soft, dry cloth for a distinctive kitchen that handles real-life in style. 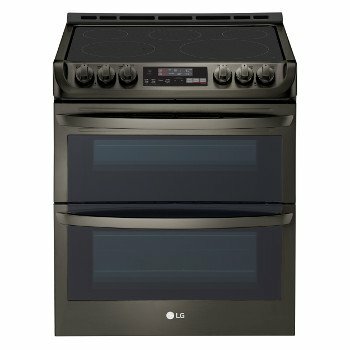 Simplify dinnertime with LG's 7.3 cu. ft. double oven offering a largest capacity. Use the quick-heating upper oven for smaller meals on the go. For big events, you'll have the room you need to cook all your favorite dishes, at different temperatures, at the same time. With LG, no meal (or guest list) is too big. 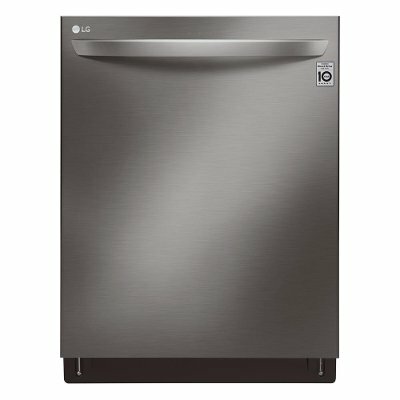 This 3 rack black stainless steel dishwasher from RC Willey makes it easy to achieve maximum cleaning throughout the entire cycle with LG QuadWash™. With four spray arms instead of two, QuadWash™ also includes Multi-Motion arms that rotate back and forth while spinning. The high pressure jets power-clean dishes from multiple angles. 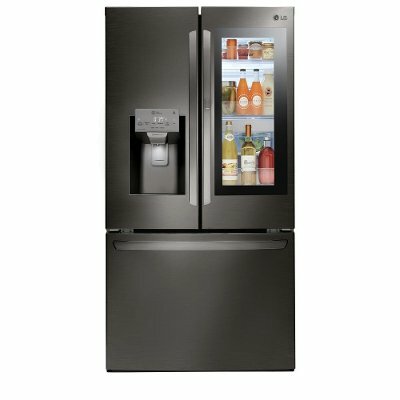 This black stainless steel french door refrigerator features LG's InstaView™ Door-in-Door® feature that allows you to see inside the easy access door without letting the cold air out. Simply knock twice on the glass to illuminate the contents within. Stock-up and store everything you need. With a cavernous 28 cubic feet of space, this LG French Door refrigerator gives you ample space for all of your family’s favorite foods and keeps them conveniently organized and within reach. 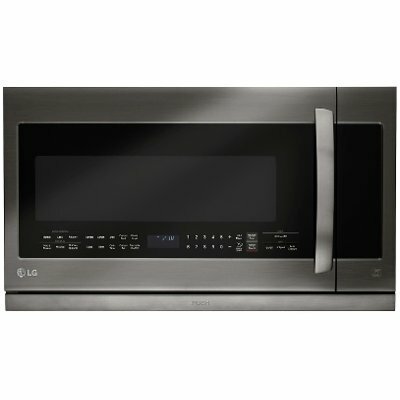 This fingerprint-resistant black stainless steel LG over-the-range microwave will bring an undeniable luster to your kitchen. It elevates the traditional stainless steel look that's become the standard in today's homes with a satin-smooth, warm and sophisticated finish - a timeless expression that pairs beautifully with any style or color.